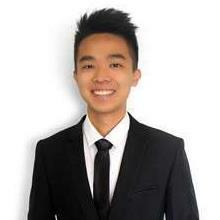 Daniel Tan is a Civil Engineering graduate from Monash University Malaysia. He has ventured into the real estate business after tertiary education to pursue his dreams of being a successful entrepreneur. With minimal commitment at a young age, Daniel has fully devoted himself into the real estate industry with great passion and enthusiasm. He prioritizes customers satisfaction and always serves his clients with integrity and professionally.